DISCLAIMER: THIS IS NOT A SPONSORED ARTICLE. I WAS NOT ASKED TO SHARE IT ON MAGNIFY YOUR STYLE. Will you be at the Wyoming Valley Mall October 26th? If so, you should stop by LITTMAN Jewelers! 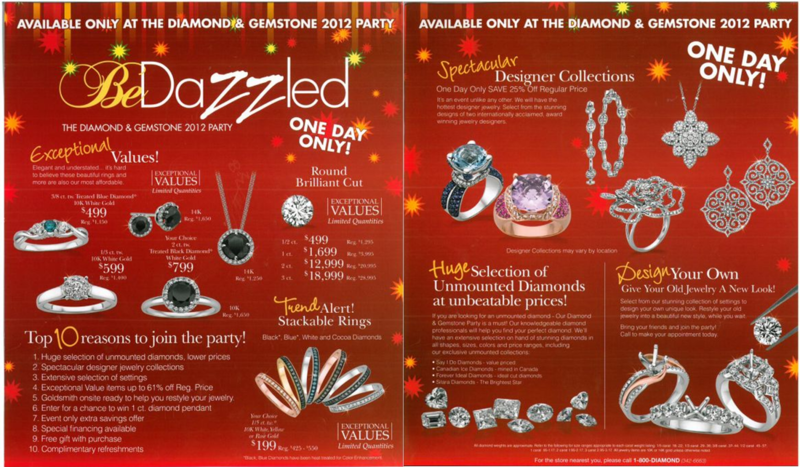 LITTMAN JEWELERS is having a BeDazzled: The Diamonds & Gemstone 2012. Sadly, the savings mentioned above will only be valid at the Wyoming Valley Mall. If your going to be in Wilkes-Barre, Pennsylvania on Friday, Stop by! If you’re not from Wilkes-Barre, don’t worry. LITTMAN JEWELERS across the nation are having events too! BeDazzled Event at Littman Jewelers! Have you purchased anything from LITTMAN JEWELERS? Connect with LITTMAN JEWELERS on Facebook and Twitter! Connect with Wymoning Valley Mall on Facebook and Twitter! They truly are a girls best friend. Sadly, the bedazzled party near me is over, but there are still a few going on around the country.